In Underground Railroad, we follow the journey of Cora, a slave who is ostracized by others on her plantation and abandoned by her mother. She decides to follow her mother's example by escaping with Cesar, another slave. The travel via a literal underground railroad, and get to South Carolina, that at first seems like freedom in comparison to where they've come from. But she soon finds South Carolina is not as progressive as it seems. They are infecting African-Americans with syphilis to learn more about the disease. When Cora and Cesar move on, each place they travel to is set with a new brutal truth about the relationship of African-Americans and Euro-Americans. 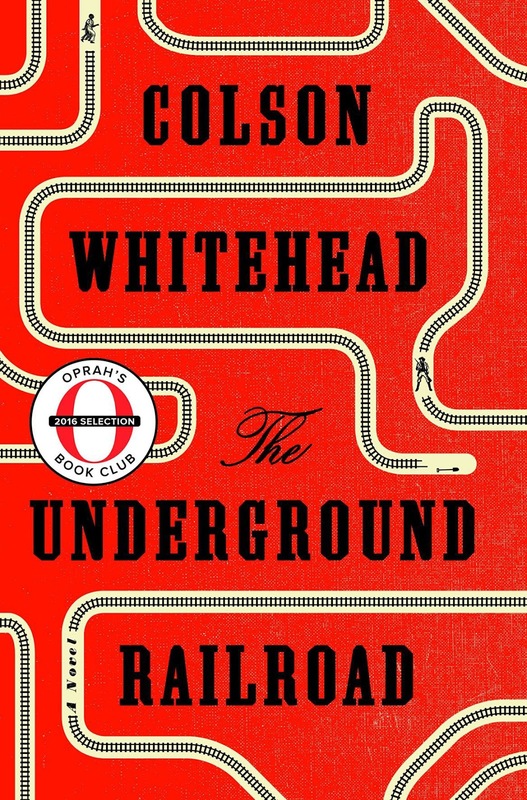 Colson Whitehead, positioned as an African-American man, did convey more authority on the slave narrative than a white person would attempting to cover the same story. Yet, the verisimilitude was distracting. Many of the states represented situations that did not take place during the time of slavery, but did have some grounding in reality. The syphilis experiment really did happen in Tuskagee. But rather than strengthening the narrative by referencing true accounts of horror, I felt emotionally pulled out because I didn't know what to believe. The book feels more like a dystopian narrative than a historical novel. If you are well-versed in accounts of slavery, perhaps you will find this account intriguing. For me, it leaves me wanting to read something with more veracity. Cora does not strike me as a character that inspires much sympathy beyond her survival. Perhaps that is simply because she is focused on her survival and it is difficult to imagine past that. Every once in awhile, we readers catch a glimmer of something beyond mere survival such as her passion for reading almanacs, but even that is stocked in practical knowledge that will aid in her continuation. Survival is something we come to expect of her no-nonsense character, despite the atrocities surrounding her. I also did not find the relationship between Cora and her mother to be very compelling, based as it was on absence and misunderstanding. Yet this was supposed to be a compelling feature of the book. Other elements felt overtly contrived for their literary quality, such as when Cora was paid to act a "type" in a museum panorama, reenacting distorted scenes from African-American history. On the other hand, the cool, almost abstracted tone was offset by the use of the N-word which I found jarring. Yes, there were really awful things happening. A town was stringing up African-Americans every Friday as part of their festivities. Maybe the language used to denigrate their existence should seem trivial in comparison. But it didn't. What am I expected to do as a white person reading this? I felt like I was overhearing an uncomfortable conversation that I should not be privy to. My friend suggested that perhaps the book does not resolve because we still encounter similar horrors today. Our responsibility as a privileged race has not been absolved.